The portal is a point of convergence for many uses and users. 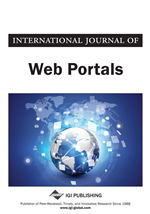 Along with the Internet itself, the portal crosses or combines many traditionally separate areas of research, each with its own perspective or perspectives. Such a combination creates a challenge for researchers on how to combine these various perspectives in examining portal and Internet use. This paper examines the methodological challenge by combining five perspectives: historical, technical, media, regulatory and business theory. The paper provides examples of the misunderstanding found regarding concepts that are fundamental and widely understood within a single field, but unknown or misunderstood outside of that field. This misunderstanding between business, technologists, media theorists and regulators contributed to the gulf between Internet investment expectation and the 2000 to 2001 results, the US$4 trillion ‘tech wreck’. Avoiding them will be important to the effective implementation of portal-based business solutions. The important effects of the printing press era were not seen clearly for more than 100 years. While things happen more quickly these days, it could be decades before the winners and losers of the information age are apparent. Even today, significant (and permanent) cultural change does not happen quickly (Dewar, 2000). This is separate from a related debate in the study of history described by Fischer (1970, p. 141), ‘that a history of ongoing events ought not to be attempted, because objectivity is impossible, evidence is incomplete, and perspective is difficult to attain’. Fischer himself suggests that these same problems relate to all study of history.